We were fully prepared for the expo opening (fingers crossed) so to keep our energy levels up, along with alcohol resistance later on, we had a wholesome lunch. 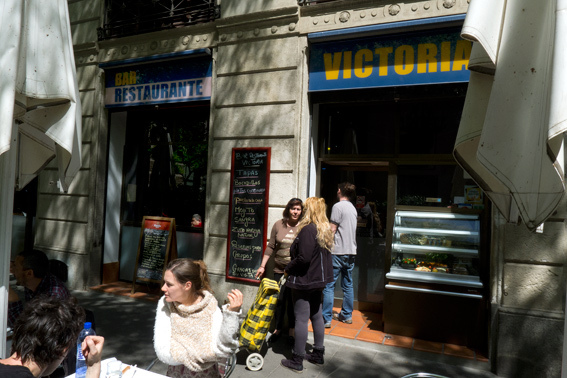 You’ll note that I’ve been to Restaurante Victoria before, but it’s a good one and costs less than 10 € for 3 courses with wine! We both ordered the same – another excellent fideuá with prawns, mussels and lots of allioli on the side. 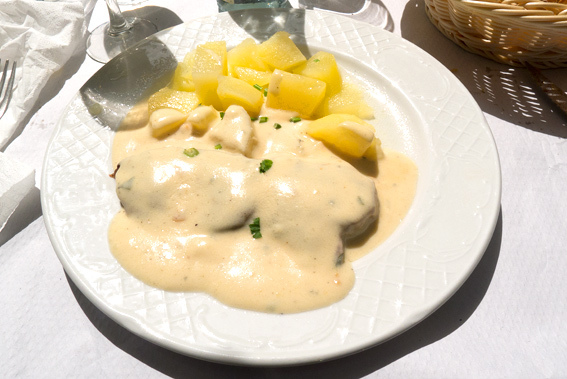 The second course was solomillo with a Roquefort sauce – I thought it was going to be veal or beef, but it turned out to be pork fillet. I wasn’t disappointed, the meat was very tender and the sauce was perfect. The potatoes were noteworthy too – I don’t know how they managed to get them so soft without them falling apart. I skipped pudding, but they do an excellent Crema Catalana here – I thought I’d need a long nap if I ate it – no time for that! 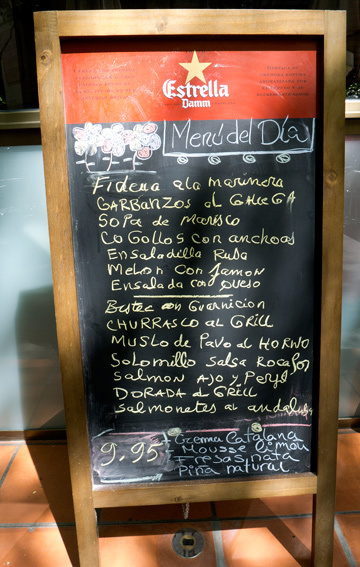 This entry was posted in Barcelona, Barcelona Bars and Restaurants, Eating Out, Fish, Food, Meat, Restaurants, Spanish and tagged All i Oli, allioli, Crema Catalana, Fideuà, La Boqueria, Olimax, Restaurante Victoria, Roquefort, solomillo. Bookmark the permalink. ” … costs less than 10 € for 3 courses with wine!” That’s unbelievable, particularly given the quality. Good luck at the Expo! 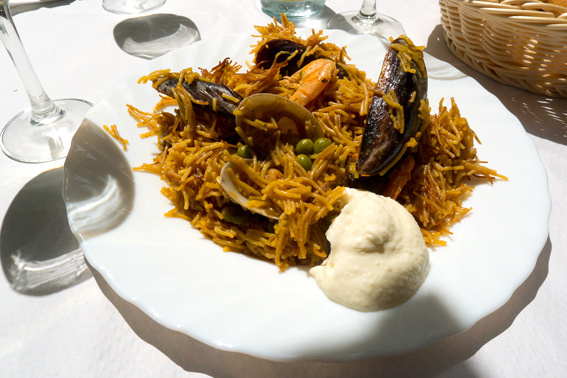 Yum, I love fideuá (more than paella if I´m honest!). Hope all goes/went well….